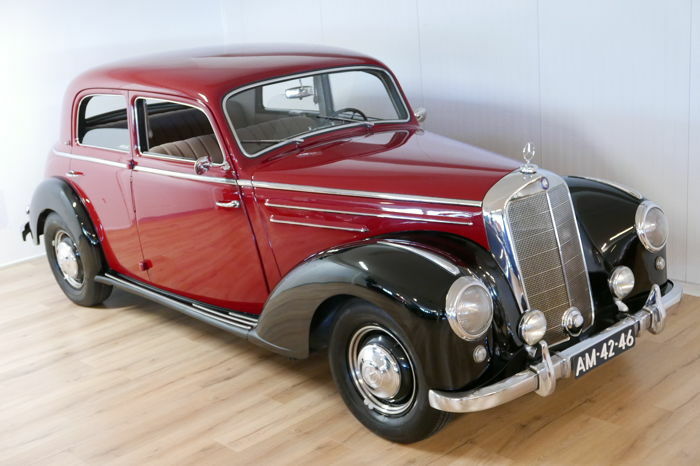 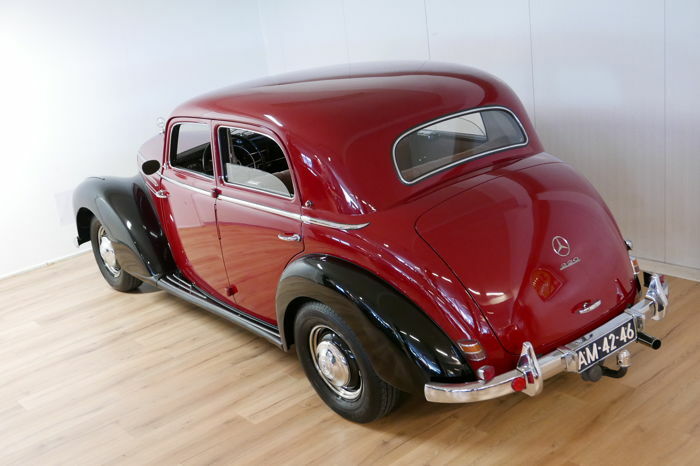 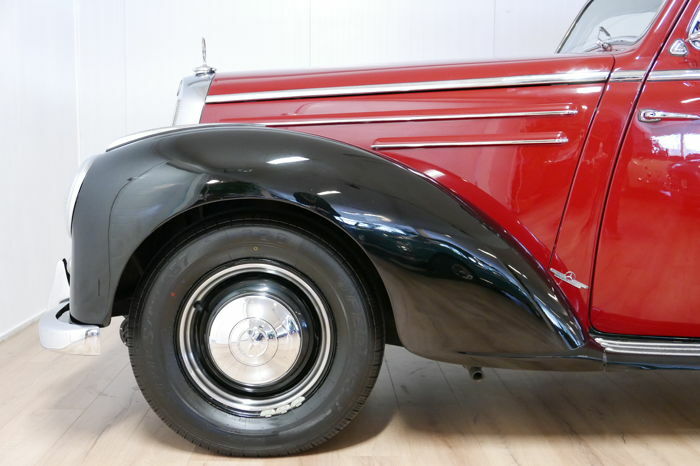 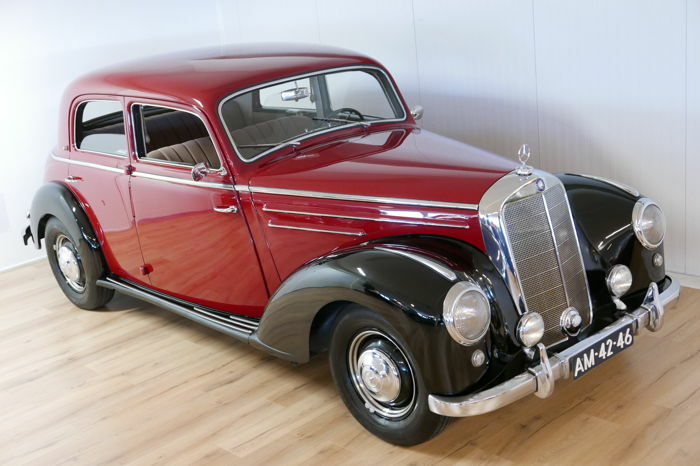 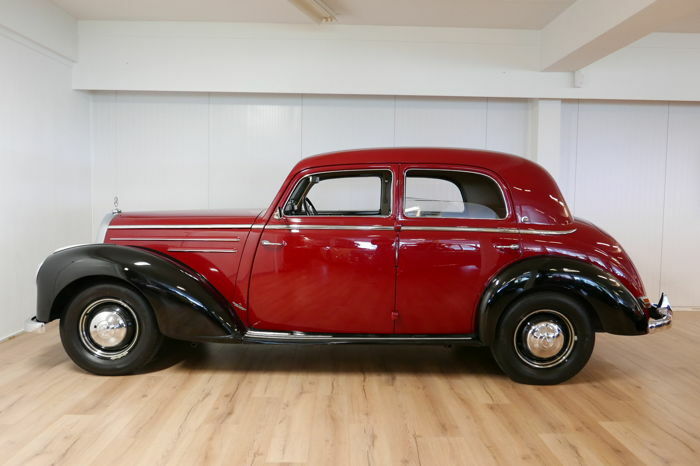 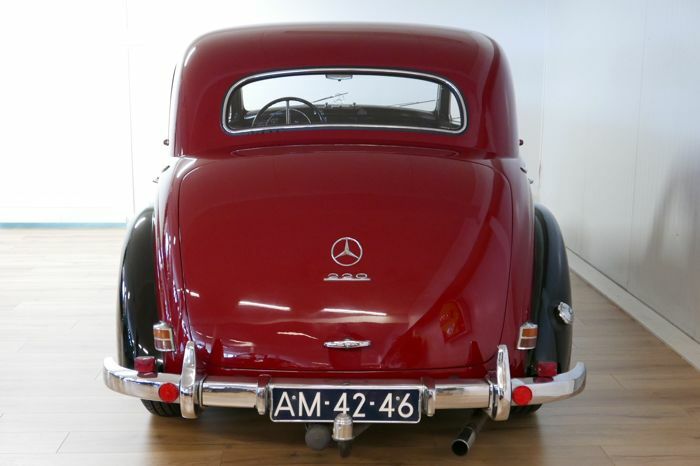 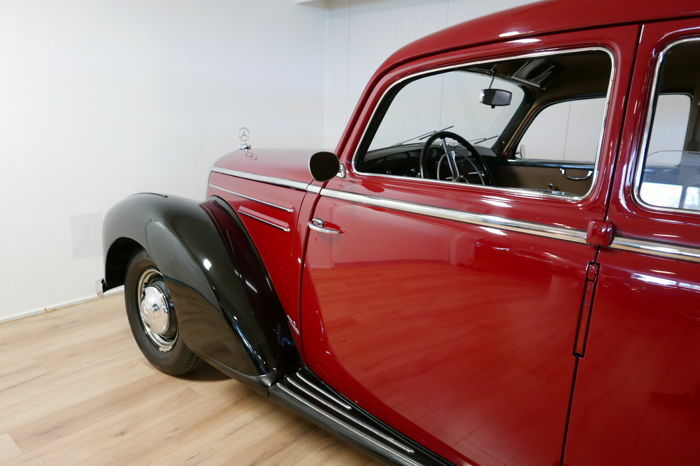 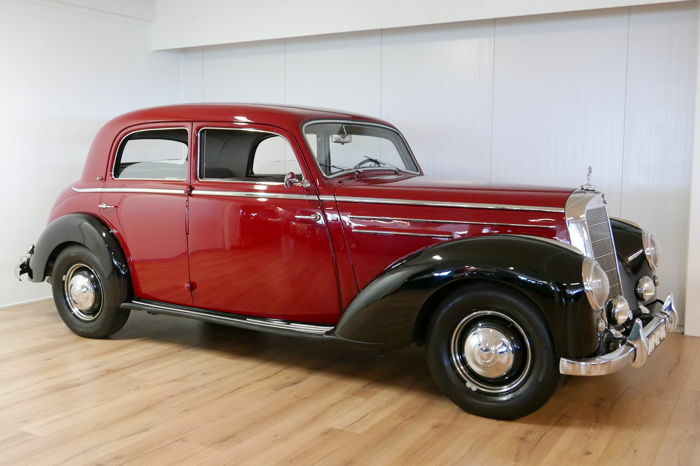 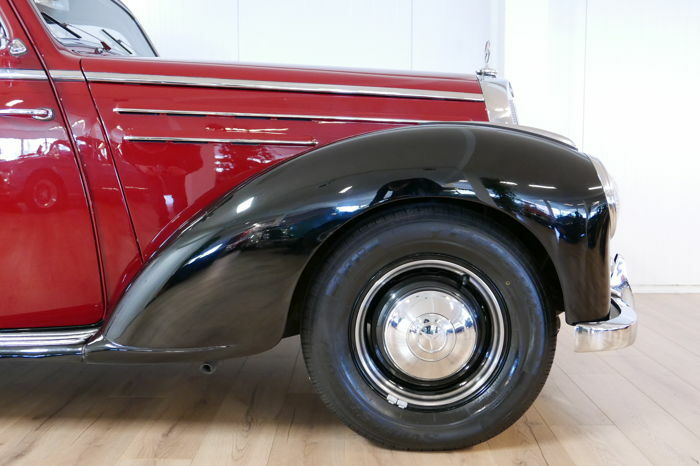 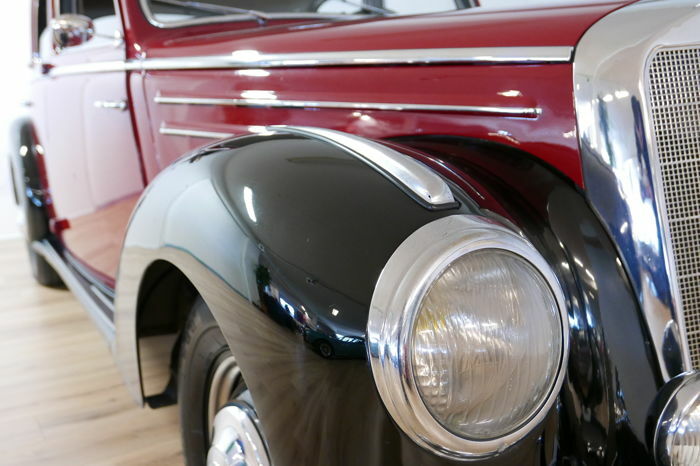 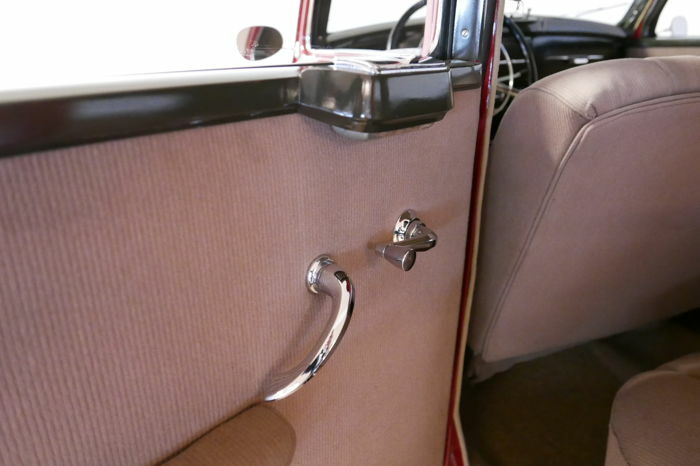 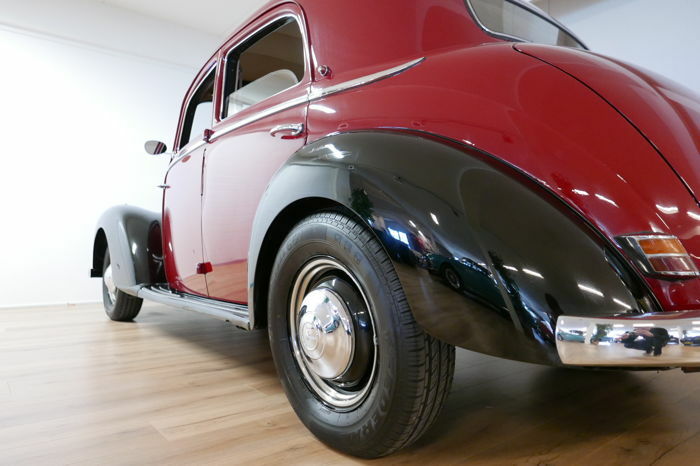 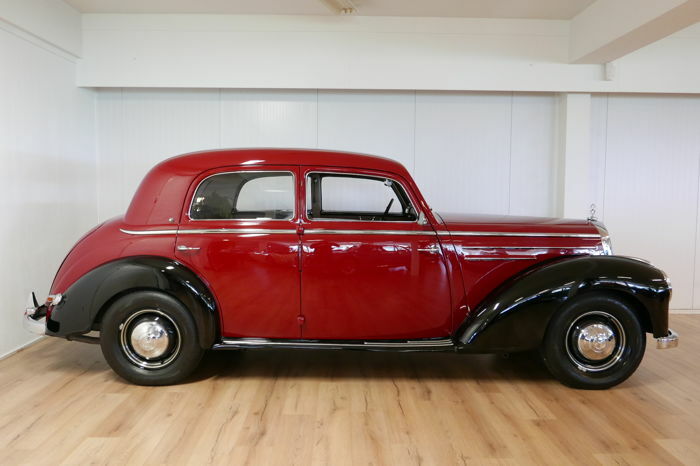 Mercedes-Benz 220, beautifully maintained and painted in a beautiful two-tone red/black lacquer. 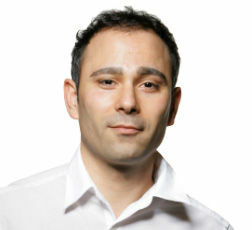 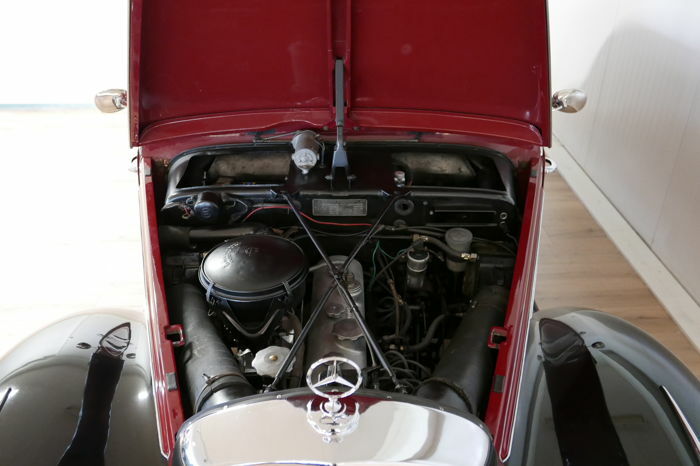 Technically in good condition and well-maintained. 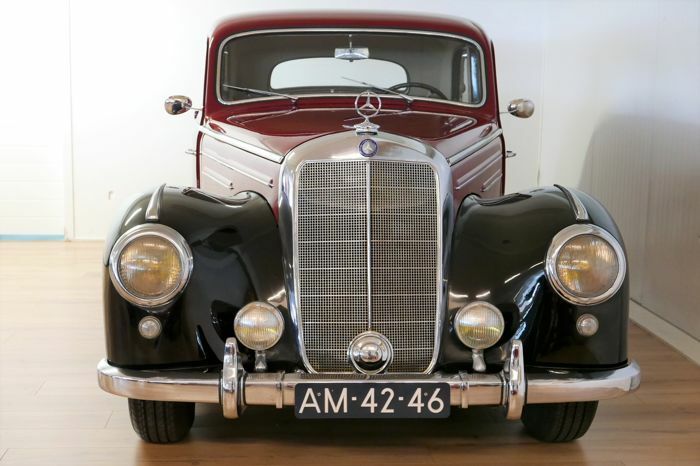 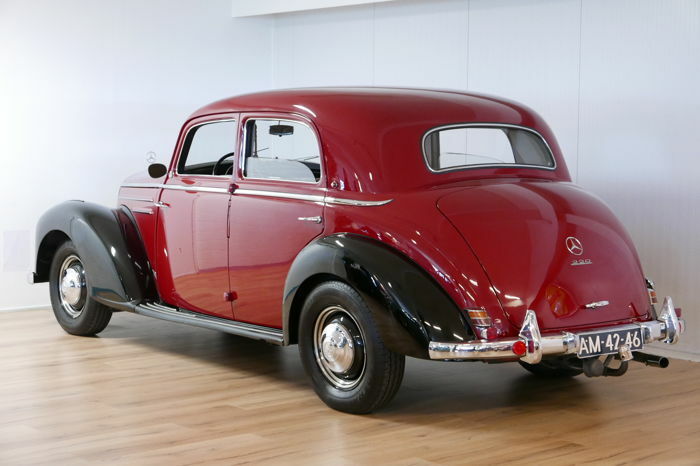 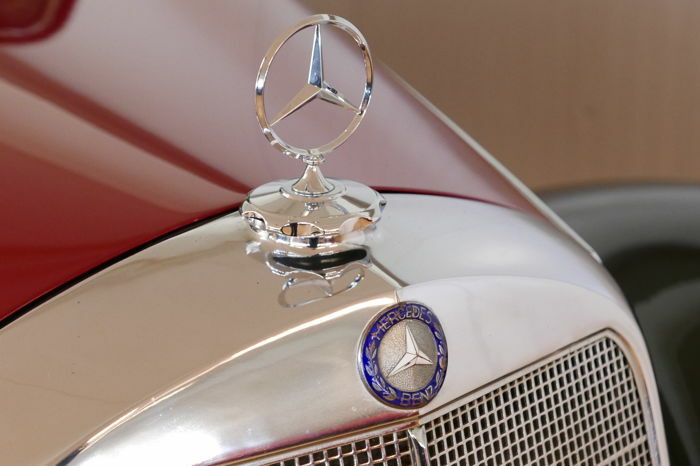 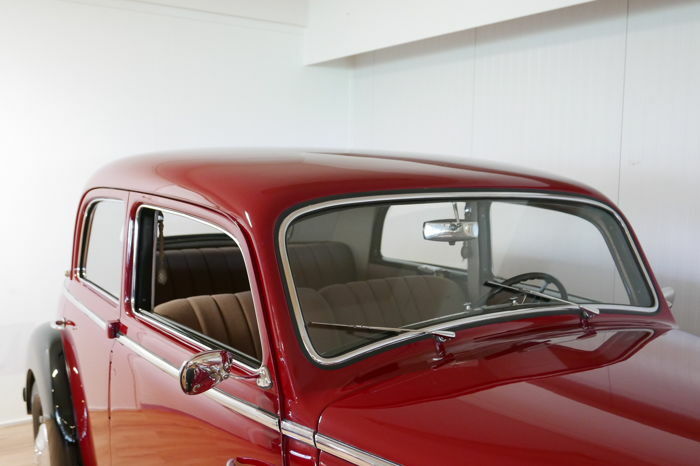 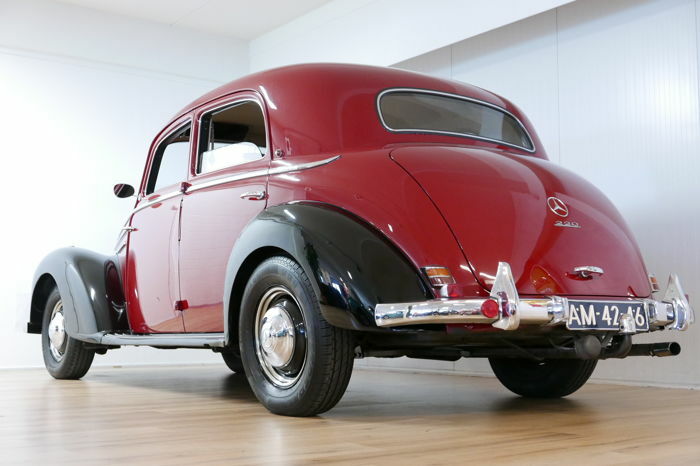 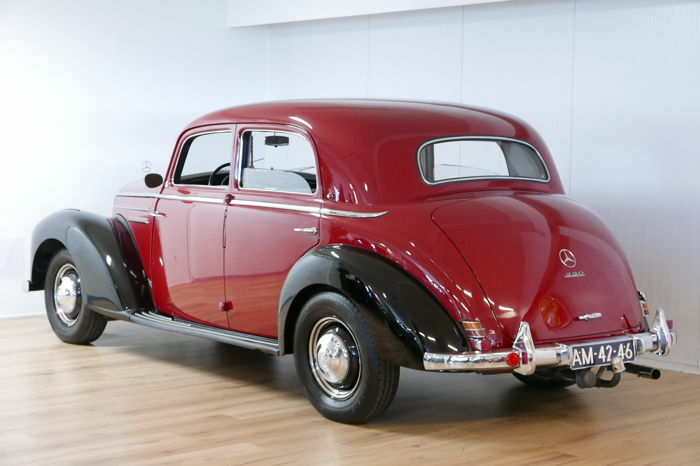 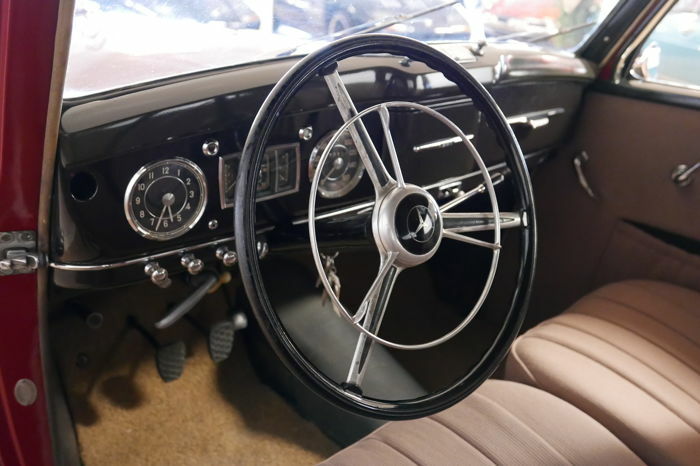 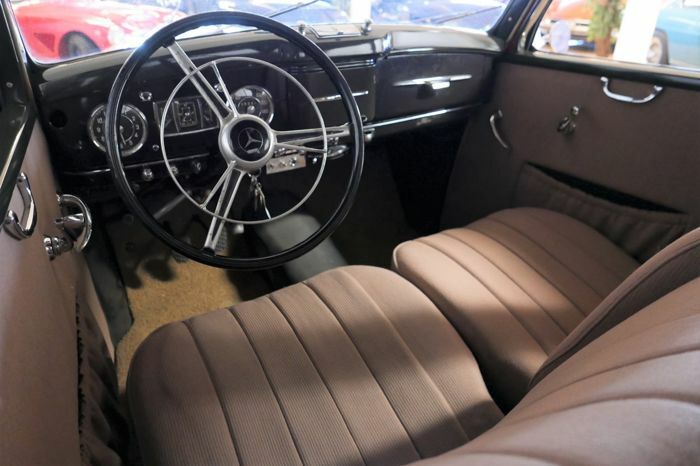 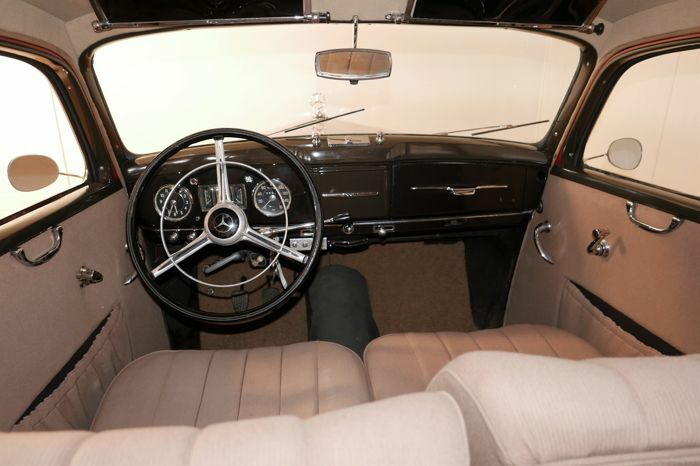 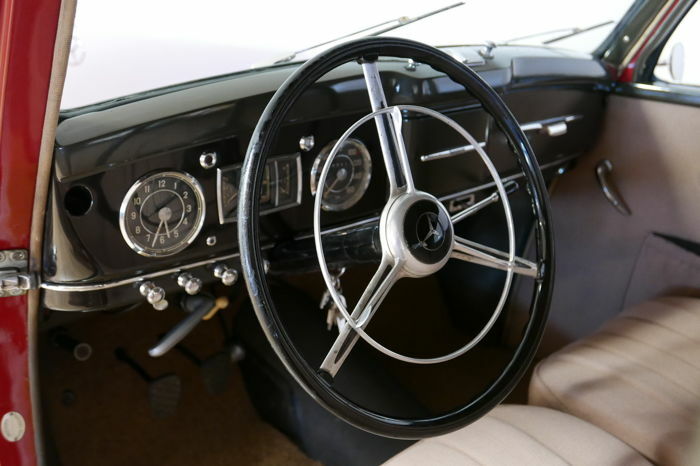 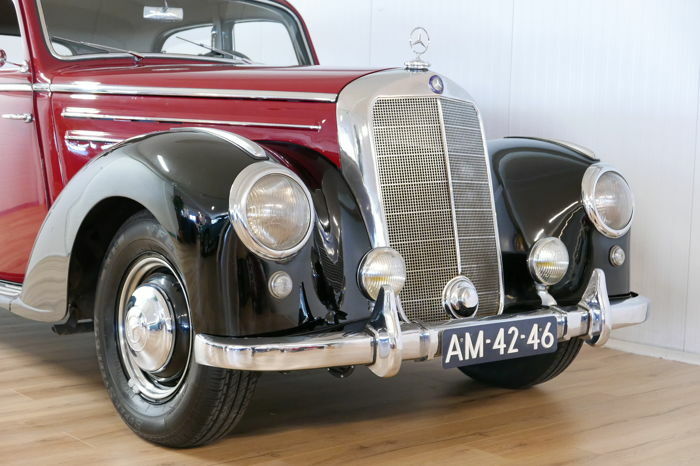 The Mercedes 220 was introduced at the IAA in Frankfurt in 1951, technically it was a very progressive new model. 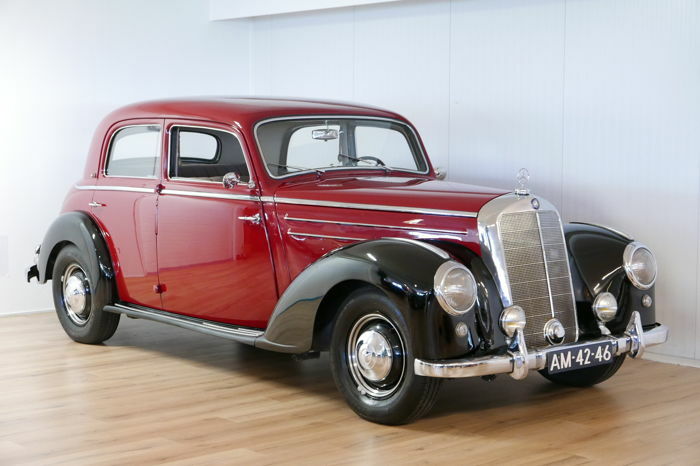 The W187 was visually similar to prewar Mercedes models. 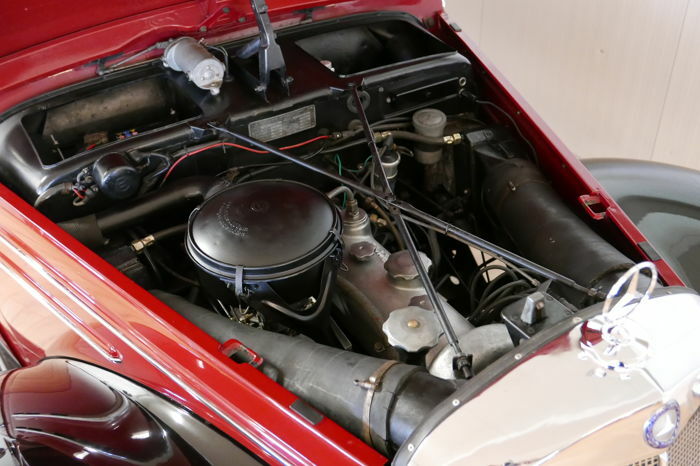 At the same time as the W187, the newly developed M180 6-cylinder engine was used, this was a modern and very powerful engine for that time and still gives a lot of driving pleasure to this day! 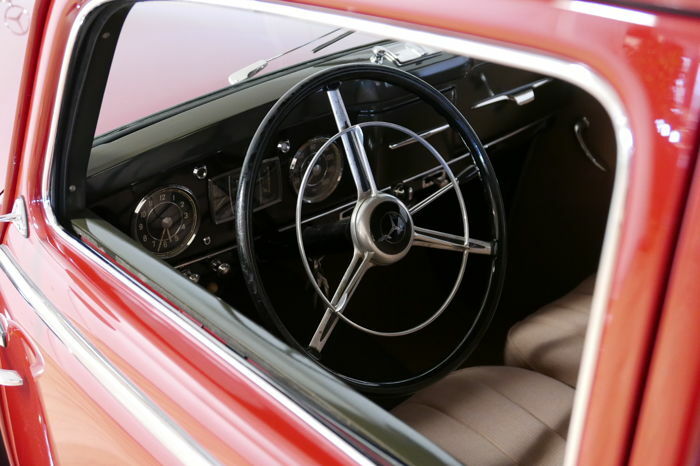 The interior is finished with lots of details. 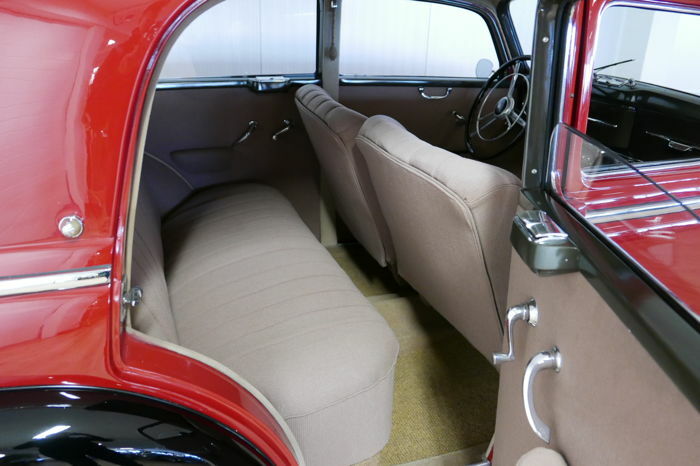 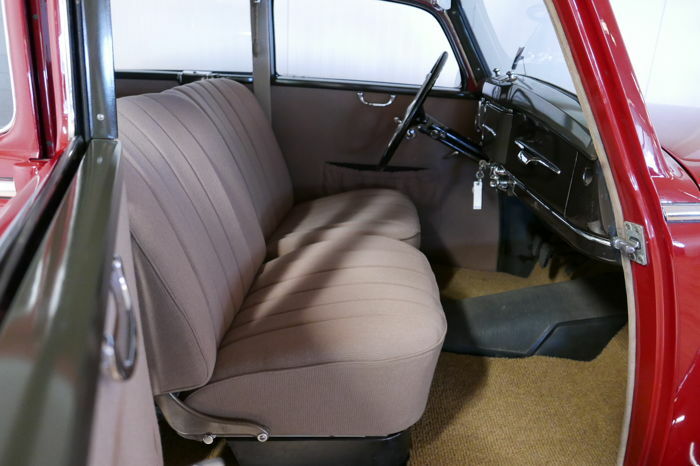 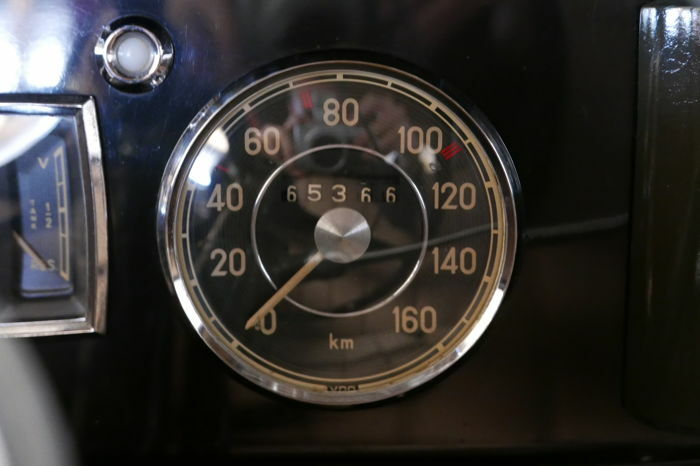 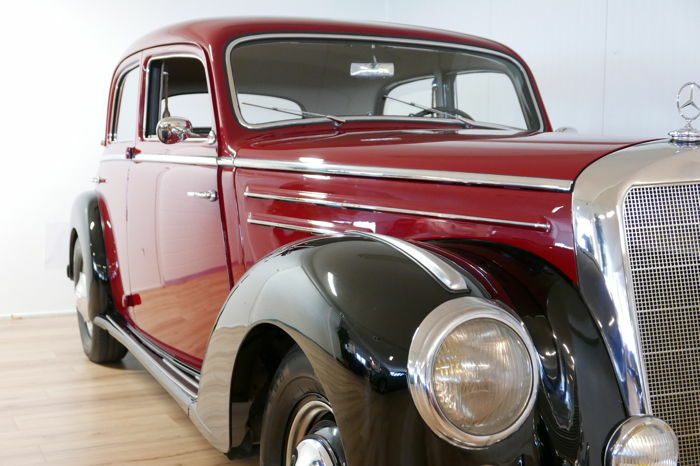 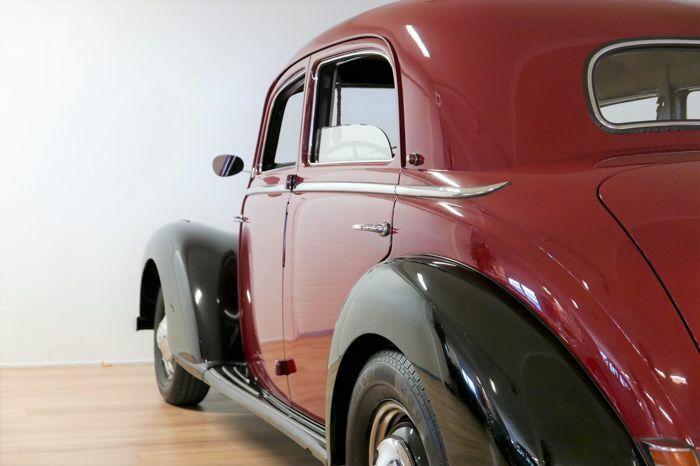 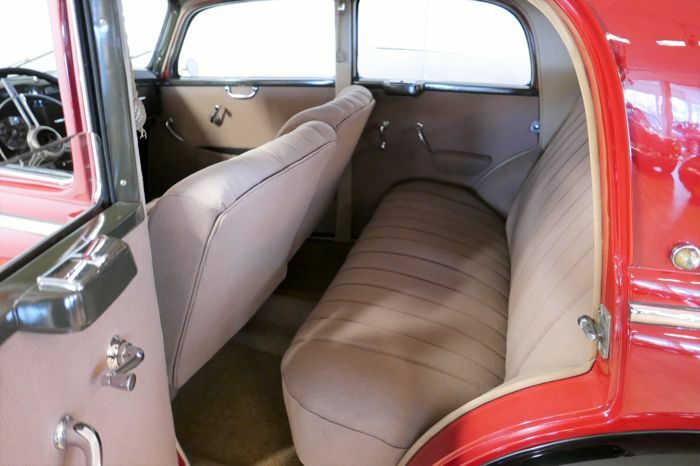 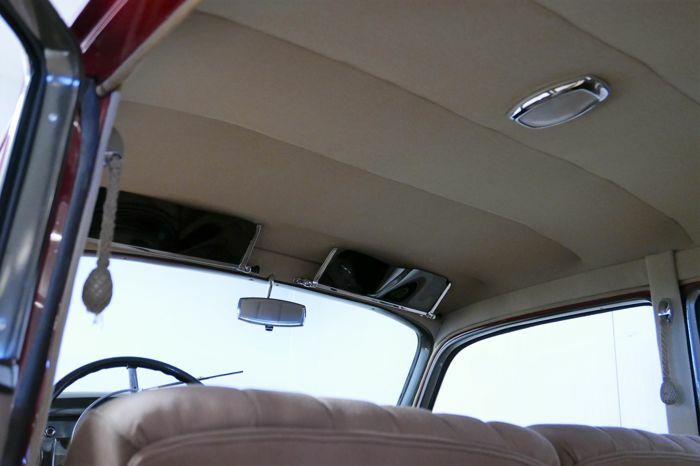 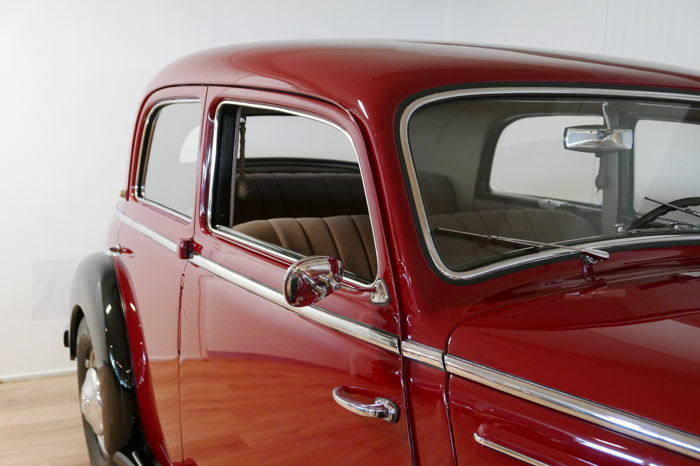 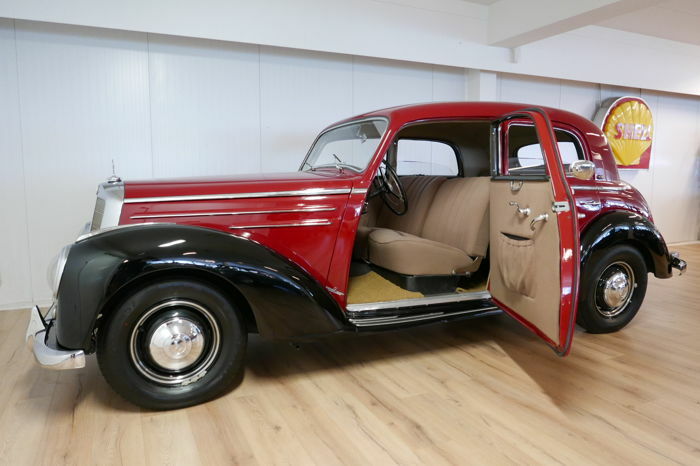 A total of 16,066 units were produced of the 4-door sedan, only a small number are left. 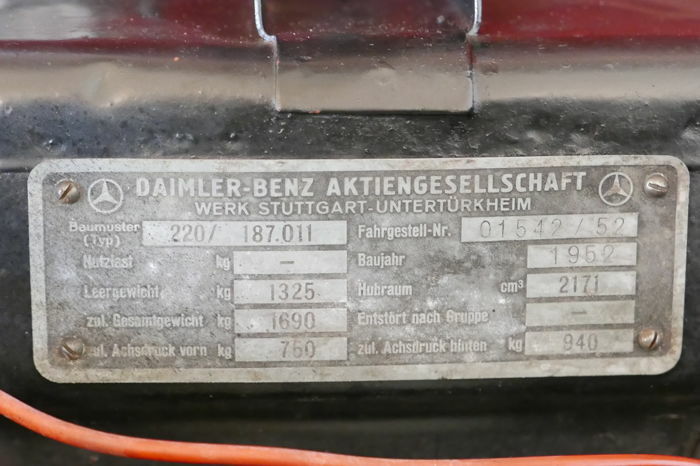 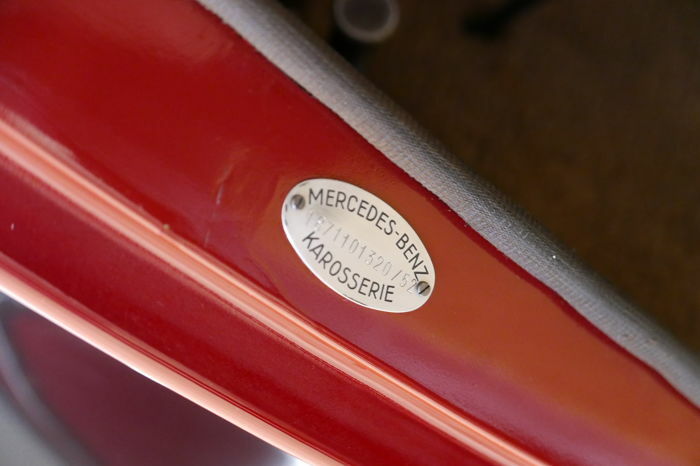 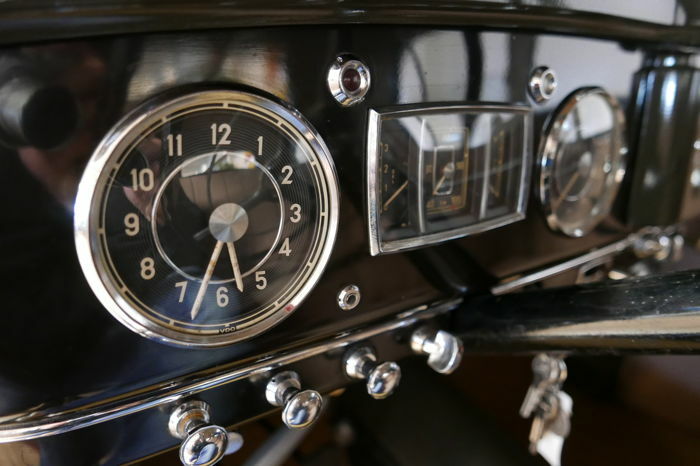 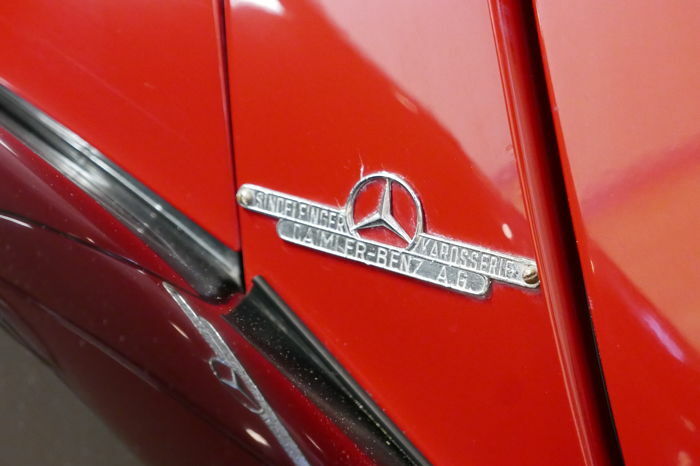 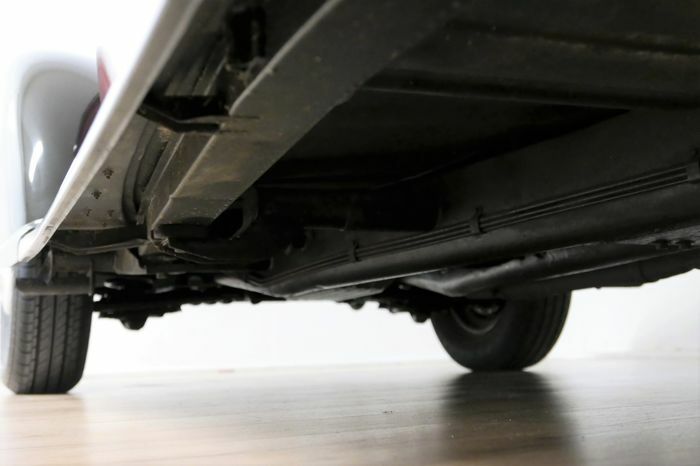 This beautiful Mercedes has of course some signs of wear, see pictures. 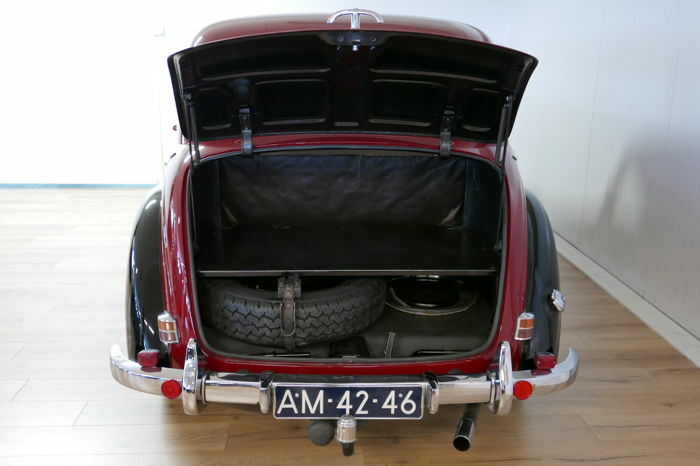 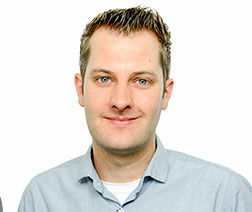 This vehicle can be viewed and picked up in Oldemarkt, the Netherlands.